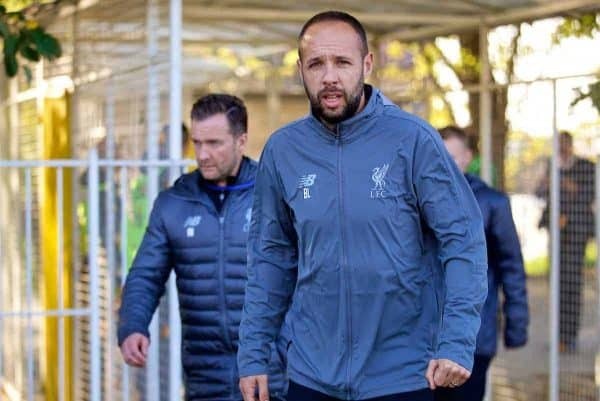 The Liverpool U18s are flying high under Barry Lewtas this season, and the coach has revealed the player he considers a “little success story” of the campaign. After the weekend’s 1-1 draw with Man United, the young Reds sit second in the U18 Premier League‘s North Division, level on points with leaders Everton with a game in hand. 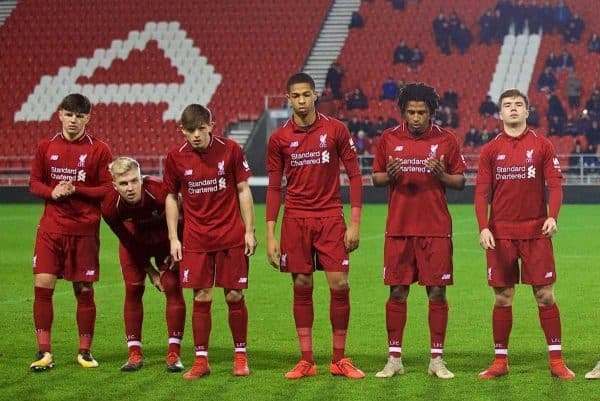 On Wednesday night they take on Wigan in the fifth round of the FA Youth Cup, while they await the draw for the last 16 of the UEFA Youth League on February 22, having topped Group C with 13 points. Having taken up the role following Steven Gerrard’s departure to Rangers in the summer, Lewtas deserves significant credit for his work at Kirkby. 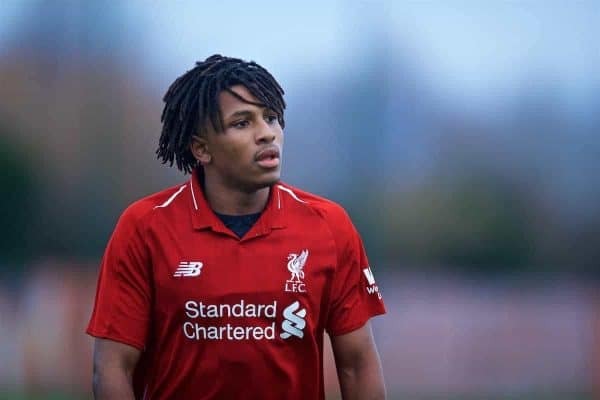 Beyond the likes of Paul Glatzel, Bobby Duncan and goalkeeper Vitezslav Jaros, one of the key players within the U18s setup this season has been converted left-back Yasser Larouci. The Algerian has made 12 starts for the U18s so far this season, with only Jaros, Duncan, Glatzel, Leighton Clarkson, Jake Cain, Luis Longstaff and Rhys Williams starting more, and he has done so in a largely unfamiliar role. “This is his second season, he came from Le Havre last year and he’s settled in well,” Lewtas explained of the 18-year-old. “His grasp of the language has improved hugely, he’s worked hard at it, and you can see he’s more confident as a result. “He was a wide player when he came, but this year we’ve just wanted to have a look at him at left-back, because we think he has the attributes. “He’s got great athleticism, he runs into space well, he carries the ball and he gives us great width. “He was a bit sceptical at the time, but as time has gone on I think you can see he’s enjoying it. Lewtas’ interview with Jones provides an excellent insight into the next generation of players breaking through at Liverpool, with the coach offering big praise for Jaros in particular. He describes his No. 1 as an “unsung hero,” who “plays a big part in the style we play with,” which no doubt endears him to Jurgen Klopp, who called him up to first-team training in January. Interestingly, Lewtas also reveals that popular young midfielder Edvard Tagseth has been sidelined for “pretty much a year through various issues,” revealing why the Norwegian had made just seven outings so far this campaign. Tagseth shared the captain’s armband with Glatzel during pre-season, and hopefully he can get back on track when he returns to fitness. For Larouci, 2018 was a very productive year, and with Lewtas, Alex Inglethorpe and Neil Critchley‘s guidance, he can hope to add to his tally of six appearances for the U23s for the campaign in 2019.